After last weeks triumph in Wollongong, the Warriors returned home to Mount Smart to face the Newcastle Knights and celebrate Issac Luke’s 250th game. 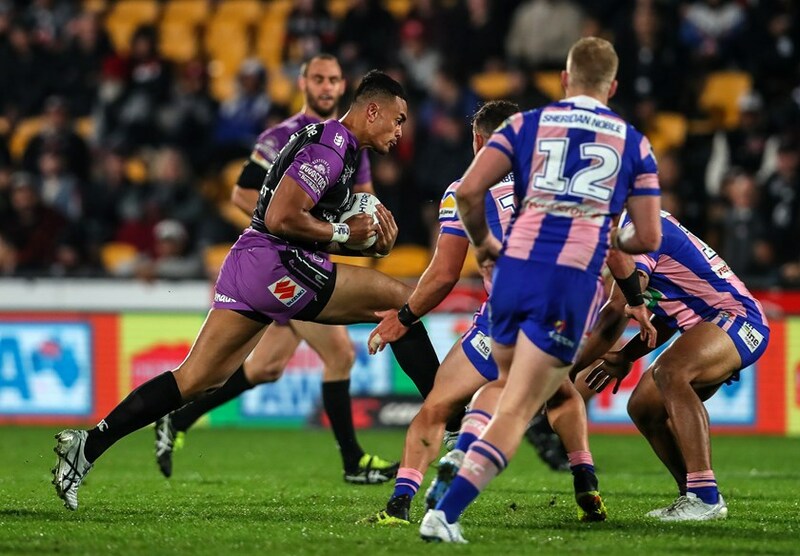 In contrast to their impressive away record the Warriors have not had great success in Auckland and were sitting on a four-game losing streak at home. This streak ended however with the Warriors winning 20-4 with this win almost confirming that the Warriors will return to playoff football after a 7-year drought. Man, it is great to be able to watch a Warriors win live again, I was starting to envy the Warriors fans across the ditch as the losses in Penrose started to stack up. The first half was a bit sloppy with the Knights scoring first and the Warriors failing to stick their passes. But on the back of their forward pack and the impressive back three they started to gain traction and by the second half the Knights had nothing in the tank and appeared to be out of ideas as time ran out. Sure it would have been great to see the Warriors blow the Knights off the park but I am more impressed in the fact that the Warriors kept the Knights to only 4 points, with playoffs looming the Warriors strong goal-line defence could what determines how far into the playoffs they go. 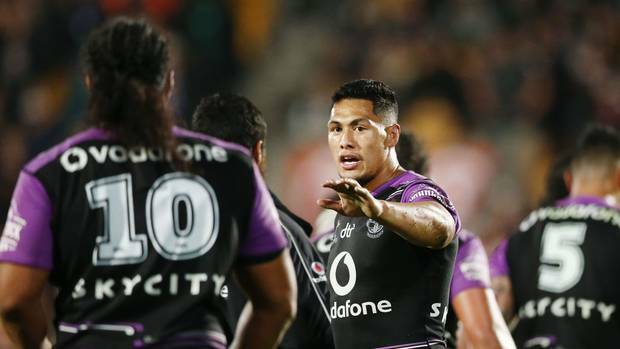 The Warriors forward pack came to play with six forwards running for over 100 metres. James Gavet had a strong showing running for 151 metres, but the whole pack had a tremendous showing. When the forwards play with the attitude they displayed here they set a great platform to unleash the lethal backline they have at their disposal, and this needs to continue. Speaking of the backline five of the seven backs also ran for over 100 metres with all eyes looking at Roger Tuivasa-Sheck (338 metres) and Ken Maumalo (223 metres), even Blake Green had a field day running for 102 metres himself and scoring an excellent solo try. I may be biased, but I believe that the Warriors have one of the best back three combinations in the NRL right now with Roger and Ken leading the way. I don’t envy opposition coaches trying to work out a game plan to reduce the impact Roger, Ken and David have when returning kicks, we may start to see teams kicking for the sidelines much like what teams used to do to Billy Slater. The goal line defence from the early rounds returned, and I think it is down to the confidence this team has, you can see that the players have faith in the players either side of them and this lets them take the short drop-out option after being forced in goal. With the rate that the Warriors have been regaining possession from these dropouts, you would have to assume that it is changing the way the opposition play when in the Warriors red zone as a repeat set is not guaranteed anymore. My last positive is just the attitude the Warriors are starting to show in the final stages of the season; this team believes that they belong in the top eight (even the top four) and they are not letting teams walk over them anymore. Still lots of work to be down but they are starting to gain some momentum as the regular season winds down. The game wasn’t perfect however which leads me to my negative from the performance. To be honest, I don’t have that many for the second week in a row, but the Warriors were a bit reckless at times with the ball in hand throwing passes or offloads that didn’t need to be thrown. Simon Mannering needs to stop trying offload as nine times out of ten it ends badly, he is a great player, but I think he should leave the second phase football to the players that do it well. The penalty count still needs to come down a bit for me, but it was at least in the single digits, with some crucial games coming up that will determine whether they will have a home finals appearance or not the Warriors need to prevent any easy points for the opposition. Lastly, I still want to see more minutes given to Paasi, I know im a broken record at this point but 35 minutes is not enough for the Warriors best front rower. My Warrior of the game goes to Roger Tuivasa-Sheck. Who else could it genuinely go to Roger had one of his best performances on Friday night. 338 Metres, 11 tackle breaks and 2 line breaks is beyond impressive but one moment really stood out for me, and that was after one of his big breaks he made the decision to hold onto the ball instead of flicking a fifty-fifty pass out to one of the support runners. Sure if he passed the ball it may have lead to a quick try but it was early in the tackle count, and he made the correct call to just take the tackle and let the continue to roll on. He has to be in talks for the Dally M this year, and I hope his forms continues. No Warrior to improve this week but I want to highlight Ken Maumalo. Ken continues to go from strength to strength in 2018, I would love to see him get some more tries to add to his tally but his big runs are just as vital to this teams performance as all the tries that David scores on the other wing. His runs out of the Warriors own half take so much pressure of this side and allows the forwards to get the Warriors deep into the opposition half, and I hope he continues to grow and develop into the monster winger he has the potential to become. Round 23 has the Warriors make their final trip across the ditch in the regular season as they travel to Sydney to face the Bulldogs. The Bulldogs are a better team than their position on the ladder suggests, and the Warriors would be fools to take them lightly but judging by the past fortnight I don’t think this Warriors side will do that. If the Warriors pack play with the same intent that they showed in Round 22, they should be able to set the platform for the backline to run rampant on the Dogs. Im picking the Warriors to come away with a 14 point win here and cementing their claims for a possible top-four spot. So that was my take on a sold Round 22, and as usual, I will leave you with some questions. Was this Rogers best performance ever in the NRL? Is there any player that you think had a poor performance? Do you think the Warriors can still make the top four? What is your score prediction for Round 23?